PurelyParchmentCraft: My first border design! My first border design on the bold grid. Very simple - I bet a 2yr old could have done it lol. 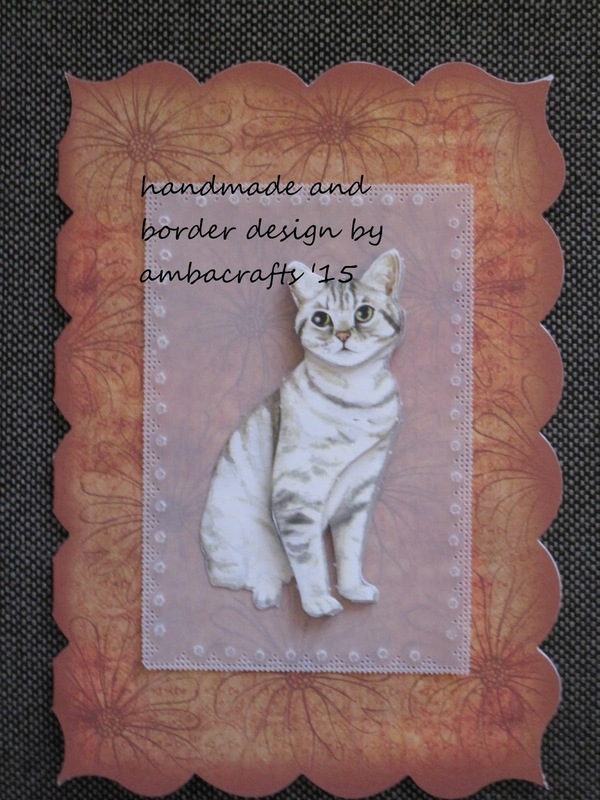 Added a decoupage cat and base card by Dawn Bibby. So pretty Alison, give yourself a big pat on the back. Beautiful work Alison, lovely puddycat. Good morning Alison, what a beauty, great border design and fun cat picture. A lovely card. The border is really beautiful and provides the perfect frame for the cat. Stunning card that works so well together!